I SPIT ON YOUR GRAVE- DEJA VU Movie (2019) Official HD Trailer - Plot synopsis: Jennifer Hills is back. Forty years after 1978's I Spit On Your Grave shocked the world with its story of a beautiful career woman assaulted and left for dead, and her notorious revenge on those responsible, cinema's most lethal lady vengeance returns in the most anticipated sequel of all time. Reuniting star Camille Keaton and original director Meir Zarchi, I Spit On Your Grave: Déjà vu sends now successful writer Jennifer Hills hurtling back to where it all began - to face the wrath of the families of those she murdered. 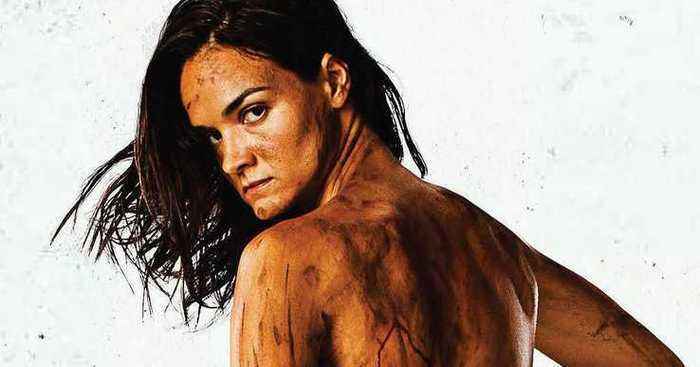 Kidnapped along with her daughter scream queen star Jamie Bernadette, it's a tense game of hunt - or be hunted - against a lethal gang of degenerates overseen by a violently unhinged matriarch Maria Olsen. Meir Zarchi delivers the next explosive saga in the most controversial tale of an eye-for-an-eye ever committed to celluloid. Some grudges refuse to be buried- David Maquire. http://www.maximotv.com || Exclusive broll footage: Camille Keaton, Jamie Bernadette, Holgie Forrester, Jonathan Peacy, Jim Tavare, Meir Zarchi, Terry Zarchi, Sarah Butler on the red carpet at the ‘I..
http://www.maximotv.com || Exclusive broll footage: Mia ScozzaFave on the red carpet at the ‘I Spit on Your Grave: Deja Vu” movie premiere held at the Laemmle Music Hall 3 in Beverly Hills,..
http://www.maximotv.com || Exclusive broll footage: Sarah Butler on the red carpet at the ‘I Spit on Your Grave: Deja Vu” movie premiere held at the Laemmle Music Hall 3 in Beverly Hills,..
http://www.maximotv.com || Exclusive broll footage: Sheri Davis n the red carpet at the ‘I Spit on Your Grave: Deja Vu” movie premiere held at the Laemmle Music Hall 3 in Beverly Hills, California..
http://www.maximotv.com || Jamie Bernadette interview on the red carpet at the ‘I Spit on Your Grave: Deja Vu” movie premiere held at the Laemmle Music Hall 3 in Beverly Hills, California USA on..
http://www.maximotv.com || Holgie Forrester interview on the red carpet at the ‘I Spit on Your Grave: Deja Vu” movie premiere held at the Laemmle Music Hall 3 in Beverly Hills, California USA on..
http://www.maximotv.com || Sarah Butler interview on the red carpet at the ‘I Spit on Your Grave: Deja Vu” movie premiere held at the Laemmle Music Hall 3 in Beverly Hills, California USA on April..
http://www.maximotv.com || Camille Keaton interview on the red carpet at the ‘I Spit on Your Grave: Deja Vu” movie premiere held at the Laemmle Music Hall 3 in Beverly Hills, California USA on..